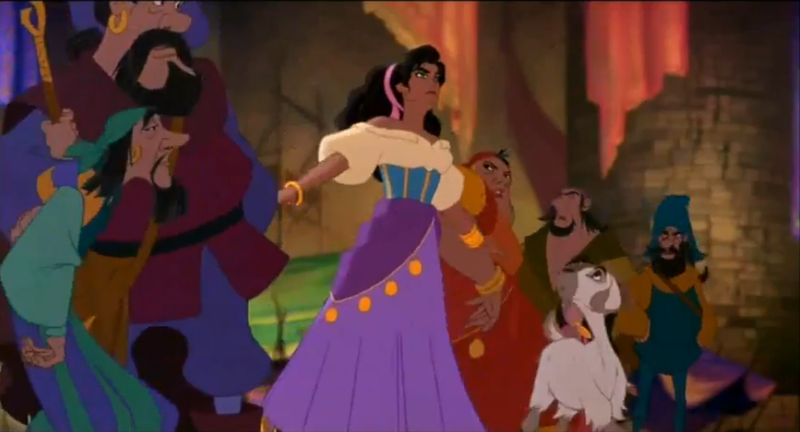 Disney’s Esmeralda has a great style to emulate.It’s fun, bold and easy, what it really breaks down to is a peasant blouse with an interesting neckline and sleeve, purple bottoms, and a teal or blue statement belt. Gold complete the look. you can also had a purple scarf for a bit more punch. Keep the shoes minimal as she is barefoot. This is perfect, great color and you get the stripe affect. Jewelry; Remember, keep it gold and make sure you get bangles or a cuff and hoop earrings.